One of the as-yet unresolved major controversies in nephrology is whether or not the entity "hypertensive nephropathy" really exists. Certainly there are a large percentage of the dialysis population who do not have diabetic nephropathy, glomerulonephritis, nephrotic syndrome, obstruction, or other obvious explanations for their renal failure other than the risk factor of hypertension. Hence, the term "hypertensive nephrosclerosis" which we use frequently. However, there is now a HUGE percentage (in fact, a majority) of the adult population in the U.S. and the vast majority of these folks do not ever get kidney disease, suggesting that hypertension alone is not sufficient to cause renal damage. One additional piece of evidence against the "hypetensive nephrosclerosis" hypothesis is the existence of a rare, autosomal recessive disorder termed "Hypertension/Brachydactyly Syndrome", the gene for which has yet to be identified. 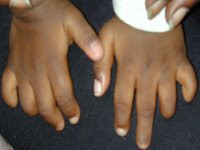 These individuals suffer brachydactyly a relative shortening of the fingers and toes, see picture) and severe hypertension, with systolic blood pressures often well greater than 200. The mechanism of their hypertension is not entirely clear, but what is interesting in this small cohort of patients is that even after decades of exposure to blood pressures in the "malignant" range, very few develop renal damage. They do have stroke commonly, but not renal disease. Any nephrologist practicing in the U.S. does not need to be told that there is an increased incidence of end-stage renal disease in blacks. Furthermore, certain diseases--such as collapsing focal segmental glomerulosclerosis (FSGS), occur almost exclusively in black populations. In the most recent issue of Nature Genetics, two different groups (Kopp et al; Kao et al) have identified a gene which may help to explain some of the increased prevalence of renal disease and FSGS in black populations. Using various genetic techniques, both groups independently identified polymorphisms in the gene MYH9 (a myosin heavy chain isoform on chromosome 22 which is expressed in podocytes) which predispose to (a) FSGS in blacks, and (b) non-diabetic causes of end-stage renal disease. Perhaps in the future, genotyping of MYH9 and similar genes could allow an identification of which patients are most at-risk for developing ESRD. In this month's C-JASN, "The Declaration of Istanbul" is presented. Recently a group of world leaders of the transplant community held a meeting in Istanbul, Turkey during which the general topic of discussion was the ethics of organic trafficking and transplant tourism--that is, the practice of a patient from one country visiting another country with the express purpose of obtaining an organ transplant (which for all practical purposes means a kidney transplant most of the time). The Declaration of Istanbul states that the poor who sell their organs are being exploited--either by more wealthy individuals within their own country, or by those abroad--and therefore that such practices be banned. The only country where individuals are allowed to sell their own organs is Iran--though certainly "transplant tourism" occurs with considerable frequency in many other countries illegally, and there are undoubtedly some physicians who are willingly participating in the practice. 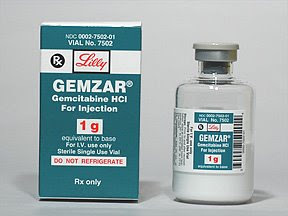 Another oncologic medication with a specific renal side effect is gemcitabine (Gemzar), a nucleoside analogue used with frequency to treat cancer of the lung, pancreas, breast and colon to name a few. Gemcitabine can cause a thrombotic microangiopathy, having been reported at an incidence of 0.31% according to a paper by Humphreys et al (in Cancer 2004). It should be considered in any cancer patient receiving this medication with new onset renal failure, hypertension, or thrombocytopenia. The human angiotensin coverting enzyme (ACE) gene is located on chromosome 17q23 and is comprised of 26 exons and 25 introns. Importantly, there is an insertion/deletion polymorphism in which a 278-bp fragment is either present or absent within intron 16. The deletion "D allele" has been shown to result in increased expression of the ACE gene, and interestingly the DD genotype is associated with an increased risk of hypertension, diabetic renal disease, and cardiovascular complications. The DD genotype turns out to be much more common in black populations than in white populations, and perhaps can account for some of the increased susceptibility towards renal disease observed in blacks compared to whites. 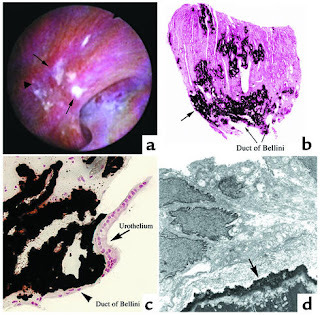 The latest theories on nephrolithiasis involve an anatomical lesion termed "Randall's Plaques", which are calcified, whitish plaques in the renal papillae which may be visualized during endoscopy (see arrows in Figure a, taken from a JCI paper by Evan et al, 2003). They were first described by the American urologist Alexander Randall, and are now though to be the nidus upon which the majority of calcium oxalate kidney stones form. As an aside--remember the theory where urine urate serves as a nidus for calcium oxalate stone formation that you probably learned in medical school? Well, it's probably not correct. While elevated urine uric acid levels do correlate with probability of uric acid stone formation (which is relatively uncommon), it does NOT correlate at all with the probability of calcium oxalate stone formation (the most common form of nephrolithiasis). In any case, Randall's plaques are calcium phosphate deposits which are thought to occur intraparenchymally, originating at the thin ascending limb of the loop of Henle. These deposits likely grow slowly over long periods of time, and eventually they are thought to erode through the parencyma and into the papilla, where upon contact with the urine they may predispose to stone formation. That's the going theory, at least. Hyperoxaluria is one of the well-established risk factors for stone formation; this certainly makes sense as the most common type of kidney stone is of the calcium oxalate variety. Interestingly, having high levels of serum oxalate does not appear to have as strong an effect as hyperoxaluria on the rate of stone formation in epidemiologic studies. However, a low oxalate diet may still be recommended to stone formers with hyperoxaluria, defined as greater than roughly 45 mg oxalate/day. The classic oxalate-rich food is spinach, though oxalate is also found in high abundance in most nuts (e.g., peanuts, almonds, cashews), baked potatoes, rhubarb, beets, and oranges. Hyperoxaluria may occur via several scenarios. Various mutations in genes necessary for oxalate metabolism can cause primary hyperoxaluria, in which there may be recurrent stone formation at a pediatric age which may lead to end-stage renal disease. GI malabsorptive syndromes (e.g., chronic diarrhea, gastric bypass surgeries) also commonly lead to hyperoxaluria. 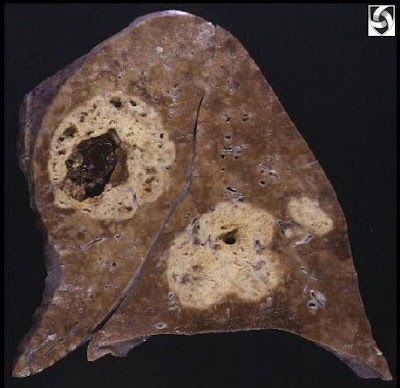 One hypothesis states that individuals likely to form oxalate stones due to hyperoxaluria have a relative deficiency of the gut bacterium Oxalobacter formigenes, part of the normal GI flora which naturally digest oxalate. The history of IgA Nephropathy is notable, in large part due to the many famous names of medicine which are associated with it. The disease was first described in 1801 by Heberden (of "Heberden's nodes" fame) in a 5-year old child with abdominal pain, hematuria, and purpura of the legs. Then in 1837, Johann Schonlein and Eduard Henoch built upon these discoveries by further characterizing the disease in pediatric populations. 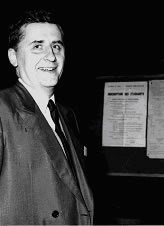 It was not until 1968 that the pathogenic role of IgA depositions was revealed, based on the work of French pathologist Jean Berger (left). Prior to his discovery that mesangial IgA deposits are present in these patients, many had believed IgG to be the sole nephritogenic immunoglobulin. For quite some time, the disease was referred to as "Berger's Disease" (not to be confused with Buerger's Disease, or thromboangiitis obliterans), though it has largely been replaced by IgA Nephropathy in recent times. Potassium is obviously a key ion in nephrologists' constant battle against reduced renal clearance. What about the potassium channels which are responsible for the trafficking of this ion in & out of the cell? 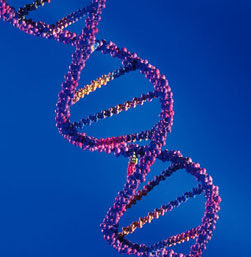 There is a marked diversity of K channels--amazingly, there are over 80 different K channel genes in the human genome? 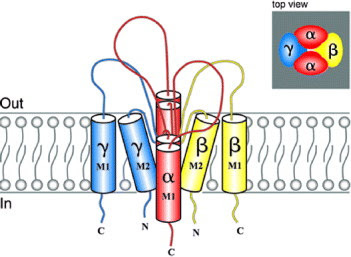 Although there are many different types of K channels categorized based on their mechanism (e.g., calcium-activated K channels; inwardly-rectifying K channels; voltage-gated K channels; tandem pore domain K channels), they all contain the same basic structure, consisting of 4 identical or near-identical subunits forming a tetramer with a central ion conducting pore. The Chemistry Nobel Prize for discovering the structure of K channels was given to Rod McKinnon in 2003. It's also important to make the distinction between CHANNELS and TRANSPORTERS, both of which are important in the kidney. CHANNELS are pores which allow a very rapid transport of ions into or out of the cell following an electochemical gradient. An example of a potassium channel in the nephron is the ROMK channel, found in the thick ascending limb. This channel allows a "backleak" of K+ ions taken into the cell which is important for maintaining the negative intracellular potential at about -70mV. In contrast TRANSPORTERS involve the binding of specific ions, often in a precise stoichiometry, which shuttles these ions either with or against their concentration gradient. Not surprisingly, ions move across the membrane much slower with transporters than with channels, but transporters offer the advantage of being able to transport against a concentration gradient and by regulating the correct ratio of ions. An example of an important renal K transporter (there are many) is the Na/K/2Cl cotransporter, also in the thick ascending limb. The ENAC channel in the distal tubule is responsible for sodium reabsorption. It is comprised of 2 alpha, 1 beta, and 1 gamma subunit with each encoded by a separate gene. Interestingly, mutations in ENAC can lead to two different and largely opposite phenotypes. Gain-of-function mutations in the ENAC result in Liddle's syndrome, which is not surprisingly characterized by metabolic alkalosis, hypertension, hypokalemia. Despite behaving physiologically like patients with hyperaldosteronism, their aldosterone levels are suppressed. This condition can generally be treated with amiloride or triamterene (which inhibit the Enac channel some) and a Na restricted diet. In contrast, loss-of-function mutations--usually in either the alpha or beta subunits--can result in type I pseudohypoaldosteronism. This is often (but not always) autosomal dominant in nature and causes severe salt-wasting in children which is unresponsive to mineralocorticoid treatment. It can be treated with a high Na diet. Today wrapped up the inaugural Origins of Renal Physiology course at Mount Desert Island Biological Laboratory. It's the first time this has been tried, and though there was significant uncertainty in my mind about what the course would entail, I am really glad that I had participated and I feel most consider it a definite success. I would highly recommend this course to other renal fellows--both those who are interested in a career in research as well as those with a more clinical bent. In summary, the course included 6 modules on core topics in renal physiology, which included The Glomerulus, the Proximal Tubule, the Thick Ascending Limb, Understanding ENac, Water Metabolism, and (my personal favorite) a module on Salt Secretion using the shark rectal gland as a model system (allowing me to wrestle with an actual shark, as shown above). Each module is headed by a scientist (some nephrologists, some PhDs) with a special expertise in that area, and small groups are given the opportunity to design and carry out their own experiments. Each module was well-organized and in most cases, post-docs or lab technicians were readily available to help carry out experiments on a practical level. Every other day there is a large group meeting in which each module's renal fellows describes their results in the form of brief presentations. We worked pretty hard on many of the experiments, staying up well past midnight on some nights, but there is also adequate time allotted for exploring the amazing Maine outdoors. The lab is situated within a few miles of Acadia National Forest, and every other day there is some type of group outing planned, such as hiking, biking, or kayaking. This was a fantastic experience. 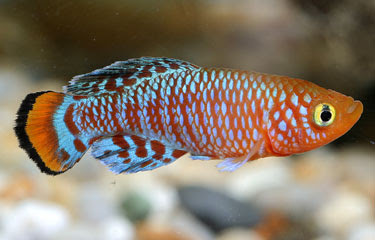 Killifish are small, brightly-colored tropical fish which number well over a thousand different species. What makes them of interest to renal physiologists is their ability to adapt to both freshwater AND saltwater. It's not a trivial accomplishment: when swimming in fresh water, killifish are severely hypertonic relative to their environment. As a result they make use of apical placement of sodium transporters (such as the loop-sensitive Na-K-2Cl transporter and the thiazide-sensitive Na-Cl transporter) in their gut and their gills, so as to absorb what little sodium that comes into their diet. In marked contrast, when killifish make their way into salt water, they rapidly switch molecular gears, dramatically increasing expression of the Na-K-2Cl transporter on the BASOLATERAL surface of their gills--thereby turning these organs into a potent salt secreting mechanism. Killifish successfully make use of their osmotic flexibility by residing in any number of habitats, including river estuaries where fresh water rivers meet the ocean--an area where there can be variable mixing of salt and fresh water. Phosphorus handling is a hot topic in renal physiology, especially considering the advanced being made in bone metabolism suggesting that vascular calcifications may play some role in the high mortality rate of chronic kidney disease patients. But how is it regulated at a molecular level? The predominant phosphorus uptake channel in the proximal tubule is Napi channel, a Na-phosphorus cotransporter. 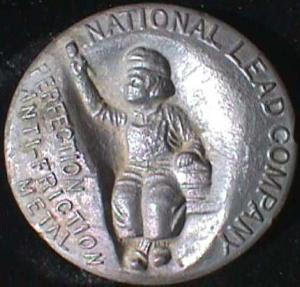 Its regulation appears to be largely due to regulated trafficking. At basal conditions, the transporter is expressed on the apical surface of proximal tubule cells. 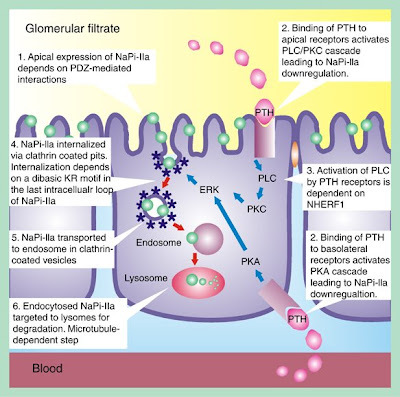 However, when the cell receives signals from either PTH or FGF23 (which are secreted in response to elevated phosphorus levels), it will internalize Napi via clathrin-coated pits and it will ultimately be degraded; ultimately this will lead to decreased renal phosphorus reabsorption and a gradual decrease in phosphorus levels. The zebrafish kidney is being increasingly studied, as it appears to offer several advantages for studying renal function. For one, it is transparent, allowing one to visualize kidney development in real-time. Second, it is a simplified system consisting of a single glomerulus with two tubules which nonetheless appear to have proximal and distal segments similar to the mammalian kidney. Its large number of offspring produced make it ideal for genetics as well. Finally, it has also been successfully shown to be a model for various disease states, such as polycystic kidney disease, nephrotic syndrome, and aminoglycoside-induced renal failure. Over the past few days at the MDIBL "Origins of Renal Physiology" course, we have been conducting experiments with zebrafish glomerular filtration. To begin with, we exposed fish to puromycin, a drug known to directly cause podocyte injury (zebrafish are already known to have podocytes). Then, fish were injected with a fluorescently-labeled dextran with a molecular weight of 70kD. Over the next several days, we looked at the rate of disappearance of immunofluorescence, a marker for dextran clearance. Fish untreated with puromycin showed a relatively constant fluorescence--indicating that an intact filtration barrier does not allow 70kD molecules to pass through it. However, fish treated with puromycin showed a dramatic decrease in immunofluorescence--indicating that the podocyte damage induced by puromycin allowed the 70kD dextran to pass through the filtration barrier. Diuretics act at the apical surface of specific segments of the renal tubular epithelium. Question: how do diuretics get to the apical surface? One could imagine several such scenarios, such as diuretics getting filtered at the glomerulus and then traveling downstream through the urine to its specific site. This is not the case, however. It turns out that diuretics enter the blood stream, make their way into proximal tubule cells, and are actively secreted into the tubular lumen. Thus, drugs which act on the mechanism of proximal tubule secretion--such as probenicid, used in the treatment of gout--will also inhibit diuretic activity, by blocking its trafficking. Homer Smith is considered the Father of Renal Physiology. He was a PhD (rather than an MD) whose studies on the fish renal system are amongst the first renal physiology experiments. For instance, his work on the goosefish (the funny-lookin' fish pictured to the left), which is aglomerular and therefore relies purely on tubular function for clearance, helped establish the important concepts of secretion and reabsorption as fundamental processes of renal function. Much of his work was done here at Mount Desert Island Biological Laboratory, in a small building right by the ocean called "The Kidney Shed." I'm coming to you live for the next week from Mount Desert Island Biological Lab (MDIBL) in Maine, where I'm taking a course entitled "Origins of Renal Physiology." The course is designed for renal fellows such as myself who seek to establish a career in nephrology research and to discuss the foundations upon which our understanding of renal physiology is based by repeating and expanding upon many of these classic experiments. MDIBL is a small, private lab whose focus is on the physiology of marine animals, many of whom were the model systems for determining such basic phenomena as salt and water homeostasis and how ions are secreted and reabsorbed. 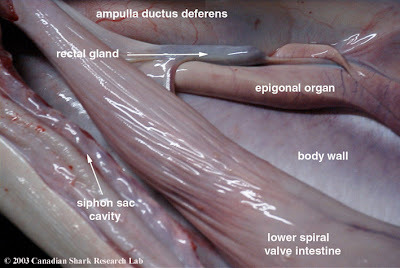 Why study the shark rectal gland at a kidney course? The shark lives in salt water, where the NaCl concentration is about 600mM, yet their plasma NaCl concentration is only about 200mM. The shark has evolved a mechanism to tolerate such a hyperosmolar environment: its rectal gland, which secretes a massive amount of Na+ and Cl- to maintain its osmolarity. The concentrations of both the Na-K ATPase and the Na-K-2Cl (a.k.a. the "loop Na channel") are exceptionally high in this tissue and therefore these enzymes were initially purified with shark rectal gland as a source, so it has already played an important role in our understanding of renal Na+ and Cl- handling. Amphotericin is one of those medications which keeps nephrologists in business by virtue of its predictable nephrotoxic effects. 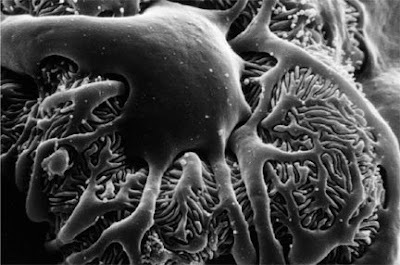 The mechanism of amphotericin-induced renal failure is felt to be acute tubular necrosis (ATN); the drug binds to sterols in cell membranes, creating pores that destroy the plasma membrane--both the fungal plasma membrane as well as renal epithelial cell plasma membranes, which is felt to be the mechanism of its nephroxocity. Amphotericin-induced renal failure is dose-related and rarely develops unless the total dose exceeds 2gm. In addition to ATN, amphotericin has other notable renal side effects as well: the drug can cause distal (Type I) renal tubular acidosis, nephrogenic diabetes insipidus, and renal potassium and magnesium wasting as well. Statins in CKD: the 4D Study & More. Cardiovascular disease is by far and away the #1 killer for patients with chronic kidney disease (CKD) and end-stage renal disease (ESRD_. Therefore, HMG coA reductase inhibitors (a.k.a. 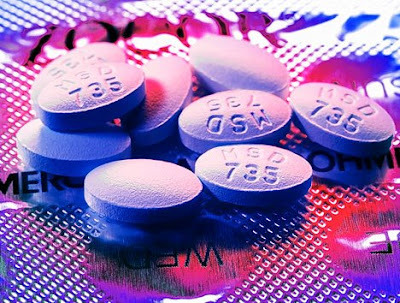 "statins")--with their impressive track record of clinical trials showing a benefit for patients with cardiovascular disease--would seem to be a natural choice for kidney patients. However the most extensive randomized control trial on the subject appears to suggest otherwise. The results of the surprising "4D Study" (standing for Deutsche Diabetes Dialyse Studie) were published in 2005; the study was a double-blind, placebo controlled trial that randomized over a thousand patients with ESRD and T2DM to either lipitor 20mg or placebo. Although the statin-receiving group did show a lowering of cholesterol, this failed to translate into any improved endpoints in cardiovascular death, non-fatal MI, or stroke. This has led to speculation that perhaps the mechanism by which cardiovascular disease occurs in dialysis patients is different from the standard "cholesterol plaque rupture" model which has become the current model. The case for statins in CKD is not completely closed--there are some more recent studies which have retrospectively looked at other large statin studies (e.g., the famous "4S Study") and looked to see how kidney patients fared, and they suggest that there may be some benefit to statins. So the jury is still out. I have never seen "First Use Syndrome" firsthand, but it usually comes up as a topic when discussing "Complications of Dialysis." 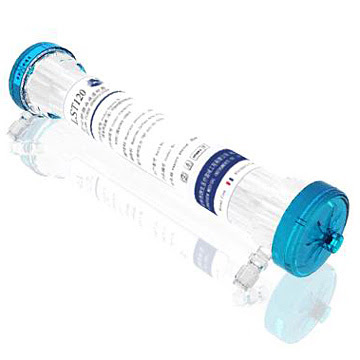 It refers to a severe IgE-mediated anaphylactoid reaction which occurs during the first use of a dialyzer, felt to be due to the chemical ethylene oxide, which is used as a sterilizing agent during dialysis manufacture. Patients may experience wheezing, shortness of breath, and even hypotension as a result. This may also be referred to as "bio-incompatibility" with the dialysis membrane. It is a more rare event these days--due to numerous reasons--a better routine of cleansing the dialyzer beforehand and the increased use of re-using dialyzers being some potential reasons for this. 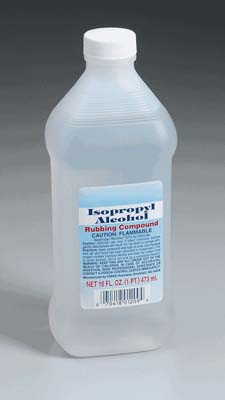 Isopropyl alcohol is unique amongst the toxic alcohols (e.g., ethylene glycol, methanol, etc) in that it causes an osmolar gap WITHOUT causing an anion gap. In addition, unlike the toxic alcohols listed above, it is the isopropanol itself which is toxic, rather than its metabolites. Therefore treatment of isopropyl alcohol ingestion with fomepizole (an alcohol dehydrogenase inhibitor) is not advised. Ketones will be positive as isopropyl alcohol is metabolized to acetone. At blood levels >400 mg/dL, isopropyl alcohol can cause hypotension and CNS depression, and since it is easily dialyzable, dialysis may be employed to hasten the elimination of isopropanol. Kitty Dukakis, wife of former presidential candidate Michael Dukakis, was once hospitalized after drinking a small amount of isopropyl alcohol. UPJ obstruction is another common congenital abnormality which under some circumstances can lead to significant renal scarring and chronic kidney diseases. About 50% of ultrasounds during pregnancy which detect antenatal hydronephrosis turn out to have UPJ obstruction. UPJ obstruction is defined as any blockage of urine flow from the renal pelvis to the proximal ureter. The subsequent back pressure within the pelvis can lead to dilatation of the renal collecting system and, if left untreated, can lead to permanent renal damage. Children with UPJ obstruction typically present with pain, hematuria, recurrent UTIs, failure to thrive, and palpable mass--however, with the increased use of ultrasound, it is not uncommon now to make the diagnosis with routine ultrasound. 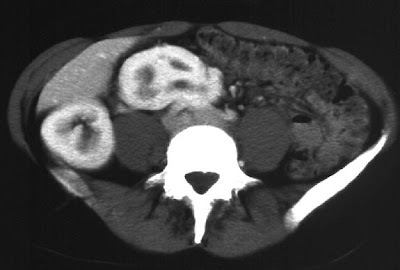 UPJ obstruction is a relatively non-specific diagnosis: an anatomical obstruction here can occur due to several reasons: scarring of ureteral valves due to recurrent UTIs, ureteral hypoplasia or abnormal insertion of the ureter into the renal pelvis which might occur as a result of congenital problems of kidney development, and fibrosis following surgery for stone disease are all possible etiologies for UPJ obstruction. Horseshoe kidney is a relatively common (1 in 400 live births) congenital malformation of the kidney in which the kidneys are fused together. 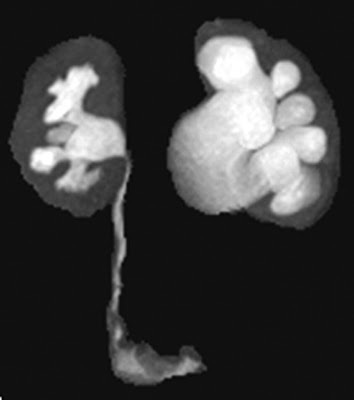 90% of the time the fusion occurs at the lower poles (upper left photo) and the isthmus (the tissue connecting the two poles) is comprised of either renal parencyhmal tissue or fibrous tissue. In humans, renal development begins during the 4th gestational week, and presumably errors during this process can lead to horseshoe kidney. In the majority of cases, patients are asymptomatic; however, the anatomic abnormalities may be associated with a more complex developmental syndrome OR may result in urologic abnormalities (e.g. reflux nephropathy) that causes CKD. In addition, there is some evidence that some renal tumors (e.g., Wilms' Tumor) may occur with increased frequency in patients with these congenital abnormalities. In contrast, crossed fused ectopia involves both fused kidneys which lie on one side of the spine, and the ureter of the crossed kidney crosses the midline in order to enter the bladder (lower left photo). Pauci-immune disease--a common cause of glomerulonephritis--refers to the histologic finding that there is an absence of glomerular immune staining (e.g., no immune complex or anti-GBM staining). Usually this is accompanied by positive ANCA titers, but not necessarily. When this occurs, the disease may be termed "idiopathic RPGN" or "ANCA-negative vasculitis." The overall outcome and prognosis ends up being about the same as ANCA-positive disease. I saw a patient today with ANCA-negative Wegener's Disease--without renal involvement. She has a history of long-standing sinus disease with multiple sinus surgeries, an ESR in the 80s, biopsies of a non-healing nasal ulcer consisting with a Wegener's vasculitis, and repeatedly negative ANCA titers. She is currently being managed with an ANCA-type regimen consisting of Cytoxan and prednisone--we will see how she responds. 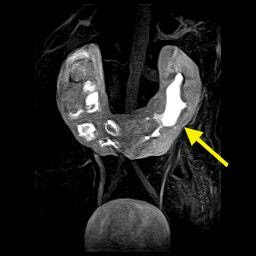 The case: a 60 year-old woman with a history of metastatic ovarian cancer who presents with a markedly tense, distended abdomen and acute-on-chronic kidney injury, with a Cr which had risen from 1.4 mg/dL to 4.5 mg/dL and a drop in her urine output. 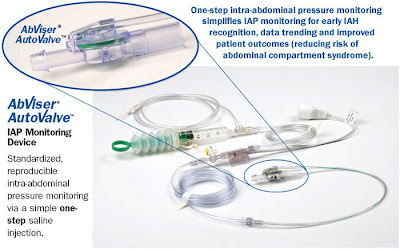 An initial urine Na was <10>20mmHg (which can be easily measured via a Foley catheter with a device similar to that shown above) may result in altered renal hemodynamics and reduced GFR. Treatment of ACS involves relief of the pressure, which is generally achieved by either surgical decompression or paracentesis. Diuretics may also be helpful. The first report that lead can cause nephrotoxicity was by Lancereaux in 1863, who observed chronic kidney disease in an artist who habitually would hold paintbrushes in his mouth; there are some who believe that the collapse of the Roman empire was partially due to lead contamination of wine. 1. acute lead poisoning--a massive, acute lead exposure (which may occur in children who eat lead-based paint chips) can lead to Fanconi Syndrome and acute kidney injury, along with other symptoms such as colic, encephalopathy, and anemia. 2. chronic lead poisoning--chronic exposure to lead--as might occur with an occupational exposure for instance--is characterized by a chronic interstitial nephritis, and is often associated with hypertension and gout. Gout is actually quite rare in other forms of CKD, so the appearance of gout and CKD together should prompt screening for serum lead levels. 3. lead-induced hypertension--lead can lead to renal disease indirectly by causing hypertension--a finding which has been confirmed in numerous epidemiologic studies.